Powerful primordial music and sounds of crystal bowls, guitar, percussion, and keyboard – designed to clear, uplift and strengthen, as well as increase calm and serenity. As a massage and energy therapist, I enjoy playing Removing Negativity for my clients. The sounds are soothing and relaxing, setting the stage for an amazing session. The piece promotes deep releasing of negative energy, allowing the opportunity for my clients to heal on many levels; several of them speaking of their profound shifts. I also appreciate that as the sounds fill my space, I receive the benefits as well. Thank you Leigh Ann for sharing this gift. I simply adore “Removing Negativity” and my clients love it too. It is my “go-to” for new clients. It also helps me keep track of how long I work on a client without the need for a clock or watch- because it is 30 minutes. Keeping it on a loop works perfectly to keep my space elevated! I just want to share with you how valuable Removing Negativity is for me. Literally the second I put it on, my jaw relaxed and that relaxation continued through my body. When I lay down to sleep, I was in a more deeply relaxed state that usual. WOW!! it’s amazing. and as I continue to listen, now for several days running, I relax more continuously and more thoroughly. The Removing Negativity cd has been a blessing. No matter what’s going on internally listening always grounds me, bringing in a deep peace. 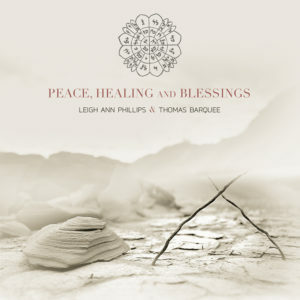 Gratitude to Leigh Ann for the calm relaxing and most of all well being, the sounds produce in me. I listen in the morning when I first get up, while cleaning house, reading, the best is just sitting with the earphones on, at that time those sounds make me vibrate. I listened to your new album after i had finished a short meditation.. I was in a field of prayer whispered on the breath of air, just beyond hearing, prayer flowing like water through me.. until all flowed clearly and I was the prayer.. I felt heavenly angels praying, weaving through my being.. until only the prayer remained.. The prayer is all that remains.. Your music IS truly a gift! Keep pouring your faith into those precious bowls. 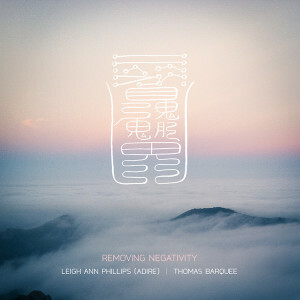 Removing Negativity is a meditative masterpiece! As I listened I felt as if I were continually bathed in purifying Celestial waters. I think this recording is an excellent tool for personal cleanings and relaxation, meditation, or to use with clients during body or energy therapy.